How many years will need to pass before New Yorkers, as well as other locals from the tri-state area of New Jersey or Connecticut, will seek to visit the September 11 Memorial Museum? Some of these people lived the trauma through their daily lives and daily commutes, faithfully reading the stories of the lives lost which filled the New York Times’ pages for weeks. For many residents, the event was not an international or national news story; it was their local news story, with piercing emotional connections. 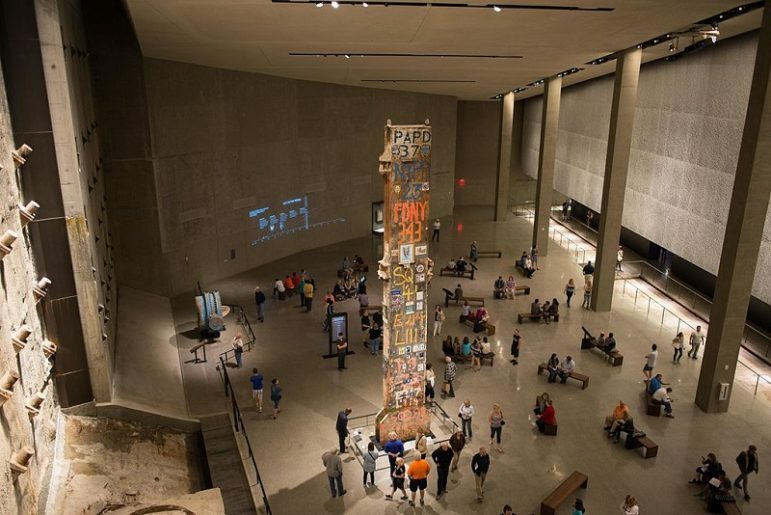 Since opening two years ago in May of 2014, only 20 percent of the visitors to the September 11 Memorial Museum are locals from New York City, New Jersey, or Connecticut. The Metropolitan Museum of Art, in contrast, welcomes 41 percent of its visitors from the same local area. Fifty percent of the 9/11 museum’s visitors are from outside the tri-state area. A Wall Street Journal article highlights a recent survey commissioned by the museum that interviewed a sample of tri-state residents who visit at least one museum a year. The survey established that only 16 percent of that group had been to the 9/11 Museum. Almost a third indicated that they did not plan to visit. Their reason was that they don’t want to relive the day. Of the 1/3 who do not plan to visit, 27 percent said they might go in the future. More than half of the sample said they do plan to visit in the future. So the passage of time may prove the answer. According to Kari Watkins, the executive director of the Oklahoma City National Memorial & Museum, “It’s very hard to get people to understand that it’s okay to…relive those emotions…because that’s what makes you stronger.” The Oklahoma Memorial also memorializes a traumatic event, with deep emotional ties for its residents. The National September 11 Memorial & Museum at the World Trade Center is a nonprofit, with a mission to “bear solemn witness to the terrorist attacks of September 11, 2001 and February 26, 1993.” It seeks to examine the impact of terrorism on individual lives and on communities. In order to increase the local audience, there is a marketing campaign currently underway, showing videos of residents in a before-visit and after-visit to the museum. The campaign includes subway advertising, as well. Even with a lack of local visitors, the museum brought in almost $60 million in ticket sales and tours in 2015, a significant jump from the 2014 figures of $40 million. Family members of 9/11 victims and first responders and recovery workers are allowed free admission. Operating costs for the museum are $72 million/year, which is covered by ticket sales, tours, and memberships. The 10 percent gap between income and expenses is filled by private contributions.